This book, An Enquiry into Psychology, Soul and absolute by Swami Prajnanananda, is a brief but critical survey of the problem of Psychology, Soul and Absolute. The soul or self is the prime-mover of the mind, its modifications and its functions, but the Absolute is above all of them. This book has thrown sufficient light upon those principles, mind, soul and Absolute, and has made their status and stands clear. The book has further discussed about different schools of psychology and their findings, and has solved their problems with the help of arguments and rational views, as maintained and forwarded by Swami Abhedananda in his illuminating book, True Psychology. This book has solved many mysteries of psychology and philosophy, and has come to the conclusion that the true knowledge of the Absolute is the only means to go beyond the mind and to cut asunder the knot of nescience that binds men head to foot in the trap of worldliness. 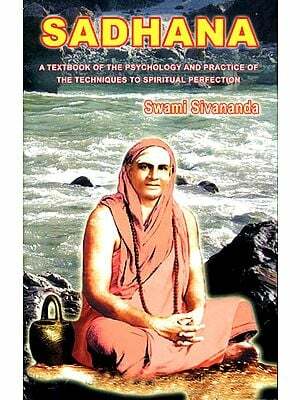 Swami Prajnanananda, the author was born in 1907. He is direct disciple of Swami Abhedananda, one of the Apostles of Bhagavan Shri Ramakrishna Paramahansadeva. He is a renowned philosopher and an acknowledged authority on music. He has been honoured with the Doctor of Music by the education Centre of Jhankar, Calcutta. He was awarded the Sisir Memorial Prize in 1958, the Rabindra Memorial Prize in 1960 under the auspices of the Centenary Celebration of Kaviguru Rabindranath Tagore, and the Fellowship by the Sangeet Natak Akademi, New Delhi, in 1963. He is the member of the Executive Board and General Council, the Sangeet Natak Akademi, New Delhi and the member of the Executive Board and General Council of the State Sangeet Natak Akademi, West Bengal, and connected with different Universities. He is the author of a number of books on music and philosophy and a regular contributor to different cultural journals. The Swami has acquired international reputation for his erudite scholarship and for his research works one comprehensive history of music. He is now the President of the Ramakrishna Vedanta Math, Calcutta and Ramakrishna Vedanta Ashramas, Darjeeling, Kurseong and Siliguri.